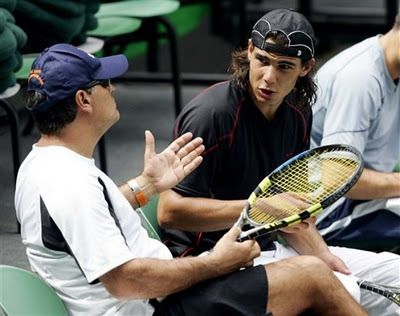 Toni Nadal: "Borg and Rafa is superior to the best of clay"
HOW WOULD YOU RATE RAFA'S SEASON? -.Having played many finals is a good balance, but with so many losses, there are great flaws in that. HOW SHOULD RAFA PLAY, IF HE COMES UP AGAINST DJOKOVIC AGAIN? That would be fundamental, though it'll always be difficult to do that in a match against Novak. WILL THE AIM IN 2012 BE TO GET THE NUMBER 1 BACK? -. The objective is to play as well as possible, prepare ourselves well and be competitive. Getting the number one back is difficult, not just because of Djokovic but because Murray, Federer and Del Potro. There are many good players and it's complicated. I would say the goal is to manage our maximum and keep winning Roland Garros. AFTER THE MASTERS IN LONDON COMES THE DAVIS CUP FINAL. WILL THE CHANGE OF SURFACE AFFECT RAFA? -. I'll answer that when the tie is over. What will affect him most is the Argentinians game. But obviously, preparation will be short. It's complicated to come from a difficult tournament like the Masters on a fast surface and change to clay. But Rafael has experienced this many times before. He played the U.S. Open final on Monday and four days later he was playing in the tie against France. Though that time it was against a player who wasn't a clay court specialist. WHAT ARE DEL POTRO AND NALBANDIAN'S CHANCES AGAINST RAFA IN THE DAVIS CUP? -. Del Potro is one of the best players in the world, and of course he has great potential. As for Nalbandian, he's one of the players with most talent. It's also true that David plays better on hardcourt than on clay over five sets, that remains to be seen. Remember Verdasco and Feliciano (Lopez) were able to win in Argentina in 2008 against all the odds. This time the tie is more equal balanced and anyone can win. HOW WILL THE FINAL BETWEEN SPAIN AND ARGENTINA END? -. I don't know how it will end but I'd like it to end with Spain winning and, if it were possible, Rafa winning all 3 points. Spain is slightly the favourite, but not by a wide margin. 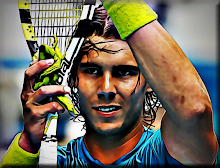 IS RAFA THE BEST CLAYCOURT PLAYER IN HISTORY? -. I saw Borg play and I think he's better than Rafa. Their results are similar, although Rafael might obtain even greater achievements on clay. But I have the feeling Borg was better. However, Rafael is still playing and we'll have to wait to see what titles they both obtain within the other. SHOULD THE ATP LISTEN TO THE PLAYERS COMPLAINTS? -. Of course, it is necessary. I am one of the persons behind some of the changes and I have made it known to Rafael. It's not possible that a player like Del Potro should drop so many places because he's injured for half the season. A player of his stature can't drop like that. You have to analyze the situation when you see so many players getting injured. The calendar is too long. Other sports stop for a break (seasons) to allow for recovery. But it doesn't happen in tennis. We cease activity on 4 December - the same goes for the Argentinians - and on 29 December we're already starting preparing for the Australian Open. The ATP should consider changes for next season. Special collaboration of David J. Nadal. Journalist IB3 (Mallorca, Spain).